Out of all the clubs, bars, lounges, and music venues in a city, 10Best narrows the options to those places with the most appeal and the best reputations. 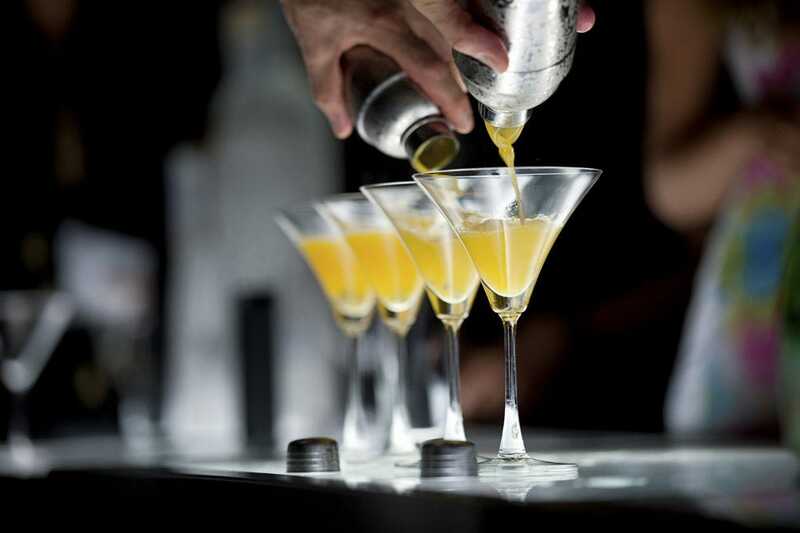 We offer a carefully vetted selection to let you explore Buffalo nightlife on your own. If time is really tight, though, and you don't have the leisure to look through all our offerings, we present our Buffalo Best Nightlife list. Here, we distill the best businesses down to a special selection of ten. These places promise a stellar experience and a taste of the city that you just can't miss. 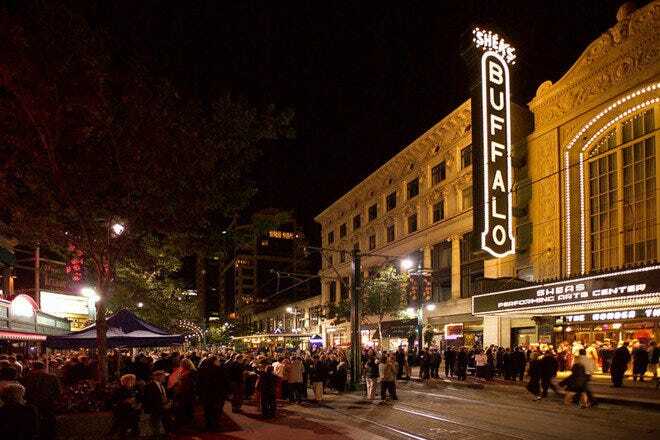 From gorgeous restored buildings like Shea's Theater that host Broadway productions, to neighborhood pubs like Alternative Brews and Bar-Bill Tavern, we've tracked down Buffalo's favorites. Those seeking an upscale "date night" can visit Left Bank for excellent cuisine and a swanky cocktail bar. A number of live music venues also made our list, including the Town Ballroom, and Allen Street Hardware, a hip bar in the Elmwood Village that showcases local acts. 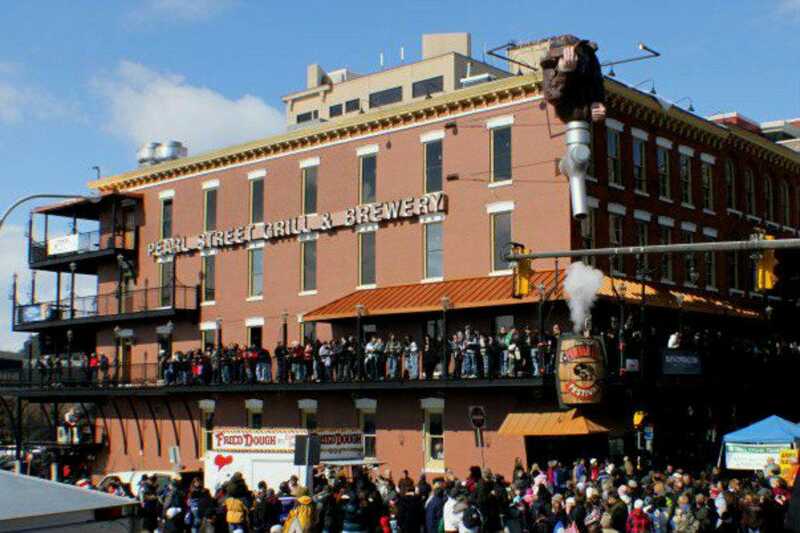 Beer lovers will appreciate the variety of craft brews at a number of bars, and the Pearl Street Brewery even offers tastings and tours of the facility. 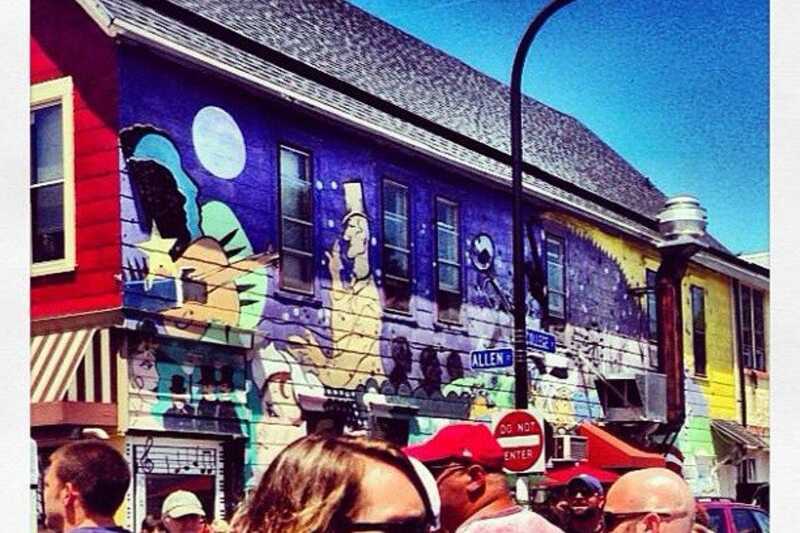 No matter what nightlife experience you are seeking, you'll find it in Buffalo. Housed in a charming timber-framed building and packed with regulars, this friendly watering hole is an appealing spot to down an icy mug of beer and hearty sandwich. The kitchen's specialty, beef on weck, features slow-roasted beef, carved while you wait and available in three different sizes. Be aware that they only serve the beef on weck until 9pm - so get there early if you want to try it! 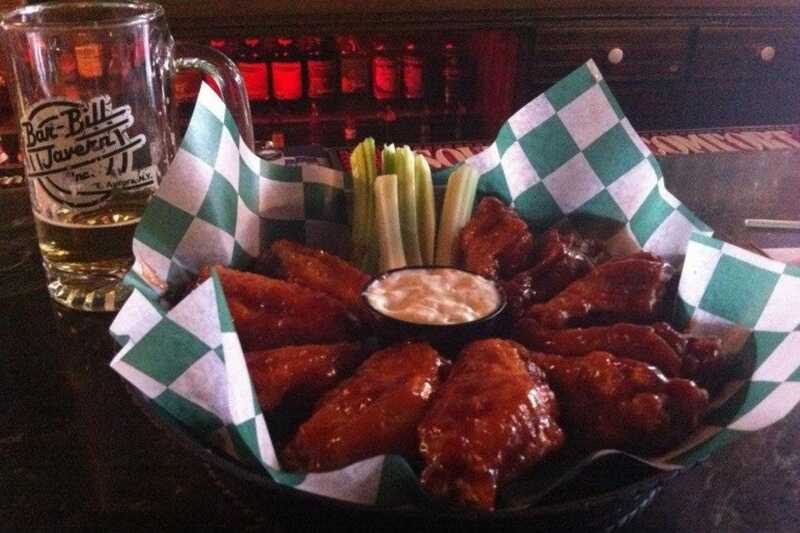 Buffalo's namesake chicken wings come in a variety of seasonings - Sicilian, teriyaki, barbecue and even suicidal that rank at the top for the best wings in Buffalo. 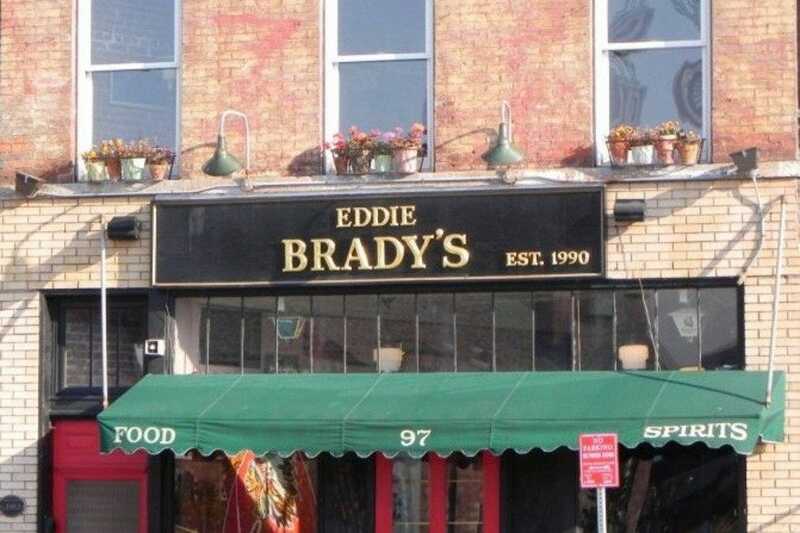 No reservations are accepted and the bar is cash only. Artists and intellectuals are drawn to this unique downtown bistro for an evening of fine wine, foreign beers, enlightened conversation and soul music. Housed in a century old historical building, the Left Bank feels like a local tavern but features an interesting menu complete with decadent pastas, seafood, steak and vegetarian specialties. The gorgonzolla cheese fondue, served with beef tenderloin, focaccia points, portobello fries and asparagus spears, is perfect for sharing. For a main course, try the cheese tortellini, pork tenderloin with cranberry sauce, or oven-roasted salmon. An extensive wine list features wines from California, Italy, Argentina, and more. 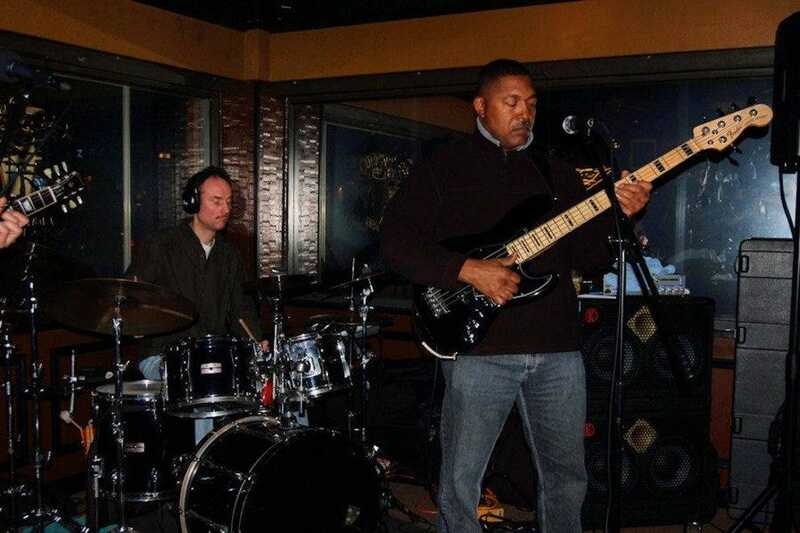 During the evenings, live jazz entertains patrons. During its heyday, this venue was home to show girls, gamblers, and musical legends. In 2005 the Town Ballroom was restored to her original glory, and today is one of Buffalo's premier entertainment venues. There is no seating inside, so either stand by the stage or on the top level. The sound quality is outstanding and you won't find a bad view in the house! 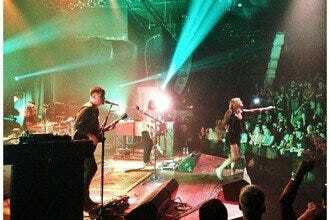 Artists like Pepper, STS9, Grace Potter & The Nocturnals, Dropkick Murphys, Neon Trees, and many more acts perform to often sold-out shows. The Town Ballroom also hosts a number of local artists, so check the event schedule to see what rising stars are taking the stage. While bars across the street seem overflowing with attempts at being trendy, Allen Street is genuine version of the bohemian-meets hipster neighborhood hangout. This intriguing coffeehouse (by day) features savory bites, a full bar and frequent live music. Art by local artists lines adorns the walls and entertainment ranges from jazz to folk to blues bands. You'll find an extensive variety of liquor including a wide selection of premium malt scotches, and the food menu offers dishes like Asian chicken salad, Norwegian smoked salmon, and 10 irresistible versions of the panini. Friendly staff members actually want to talk to patrons, no matter how busy the night is. Situated in a historic 19th Century building that had been a dressmakers shop, hardware store, and Irish pub, the Pearl Street Grill and Brewery has been beautifully restored and features oak claw foots, booths, an old-fashioned belt and pulley market fan system, and New Orleans-style, wrap around patios throughout the multi-level complex. Eight bars span four levels, and several beers are on tap, with seasonal options thrown in the mix. Try their signature "train wreck" amber ale, or opt for the Saber's Edge, an IPA with hints of toffee. Air hockey, foosball, and pool are available for patrons, and a pub menu offers sandwiches, wings, and entrees. Modeled after an early 20th century pub, this friendly Irish establishment is outfitted with worn wood, brick walls and a pressed-tin ceiling. 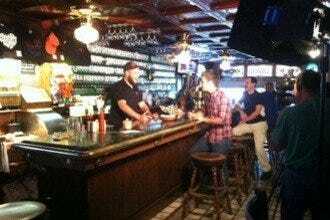 Locals, drawn from every walk of life, frequent the digs and chow down on burgers and fried bologna with a pint of ale. The atmosphere's conducive to long chats, and everyone's made to feel welcome here. It's nothing fancy, and yet the limited menu - primarily sandwiches, burgers, and homemade soup - is of solid, good quality. Friendly service and a casual atmosphere make this downtown pub stand out among the "trendier" scene nearby. In the warmer months, patrons can enjoy the outdoor patio. Fantastic live performances by emerging local musicians draw a discriminating clientele to this popular bar. Don't expect anything fancy: it's a dive with dart boards, a small stage and cheap drinks (think $6 pitchers of beer). As far as the lineup goes, variety is the name of the game, so you might find anything from rock to reggae to hip-hop groups on stage. Monday night features karaoke, Tuesday is open mic, Wednesday is heavy metal and bloody Mary cocktails, Thursday is electronic music, and weekend performances are constantly changing. An enviable selection of imported brews and frequent nightly are specials available. Club Marcella is located on Buffalo's Main Street, and is one of Buffalo's premier gay clubs. Enjoy the hip sounds spun by great DJ's on the large dance floor or relax with friends around the bar. Special events like college wars, 90s night, glow night, and holiday events. Female impressionists are featured throughout the year performing "Life's a Drag," Western New York's longest running drag show. Heterosexual couples join the fun on Friday nights, a hot underwear contest kicks off on Saturday, and the first Sunday of each month is hip hop night. The owner and bartenders, native to the area and true gentlemen, make sure that everybody has a great time. Quite simply, this is a bar for beer lovers, and with nineteen beers on tap (and over 150 bottled varieties), everyone's happy. A pleasant outdoor patio and live blues playing in the background create an enjoyable atmosphere for trading stories and downing your favorite brew. There are plenty different choices of cigars as well, and it is the only bar in Erie County where smoking is permitted. 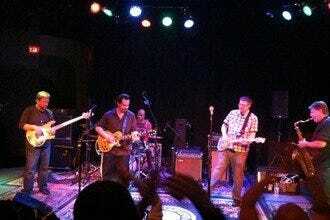 Alternative Brews offers live music Wednesday, Friday and Saturday nights. During the week, happy hour knocks beer prices down to $3 per draft, and on the last Thursday of each month there are free beer tastings. More than 30 years ago, volunteers prevented Shea's Performing Arts Center from becoming a parking lot by having it listed on the registry of historic sites. 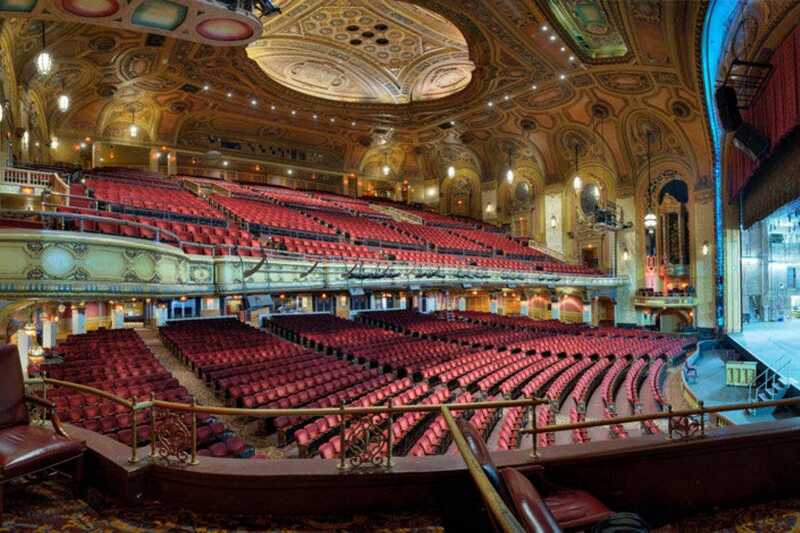 After much restoration, Shea's is the centerpiece of theater and entertainment in Buffalo. From Broadway shows like Wicked, Beauty and the Beast, and other Tony award winners, to smaller theater productions, comedy shows, live bands, ballets and even movies, Shea's showcases premier productions that leave audiences impressed. The acoustics are incredible and the architecture is stunning. This is also a popular wedding venue, so don't be surprised if you see a bride and groom strolling around.